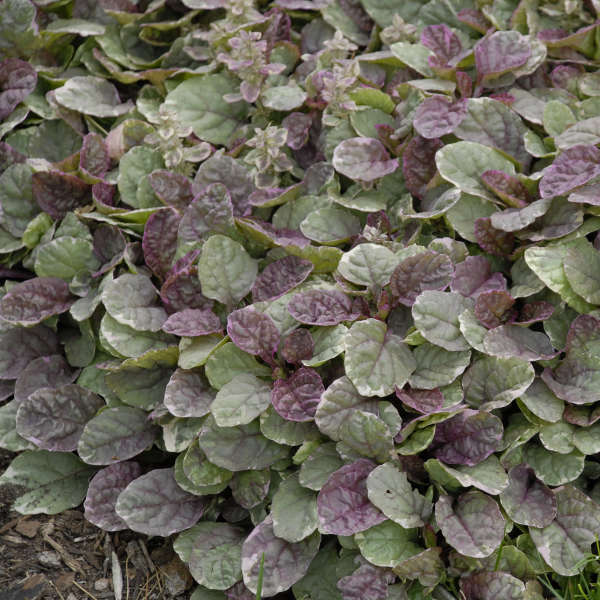 Fantastic tricolored foliage in shades of creamy-white, rose-burgundy, and dark green make this ajuga different than all the others. In the fall, the mature leaves turn a deep bronze while the newer growth takes on a rose tone. 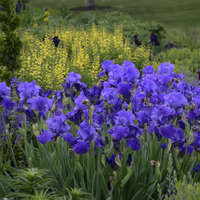 From mid to late spring, short spikes of blue flowers stand upright above the low, spreading foliage. The effect is stunning when planted en masse. 'Burgundy Glow' tends to spread more slowly than many other varieties in this species, making it suitable for use as an edging. 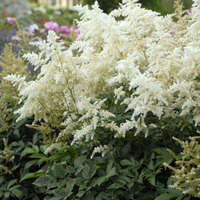 It also fits nicely into rock gardens and mixed container plantings. 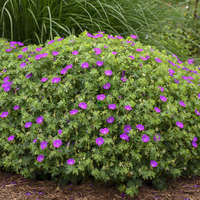 A. reptans is an evergreen groundcover that can grow in the shade of large trees where grass is hard to establish. 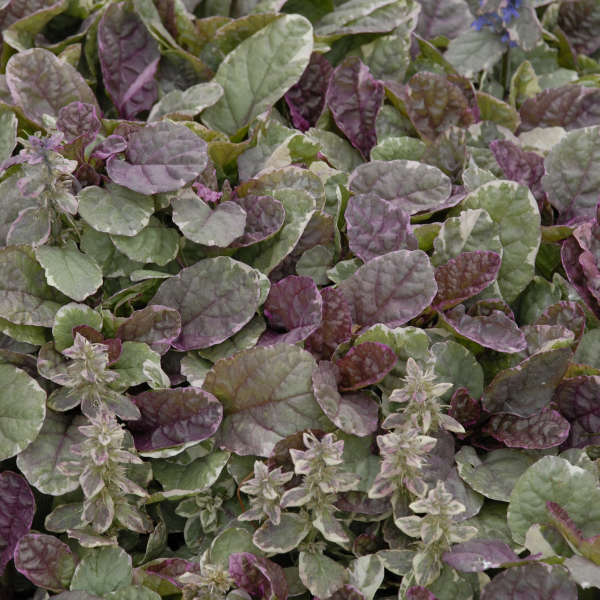 Unlike many perennials that are grown only for their flowers, ajuga is prized for its attractive, colorful foliage that looks nice all year. 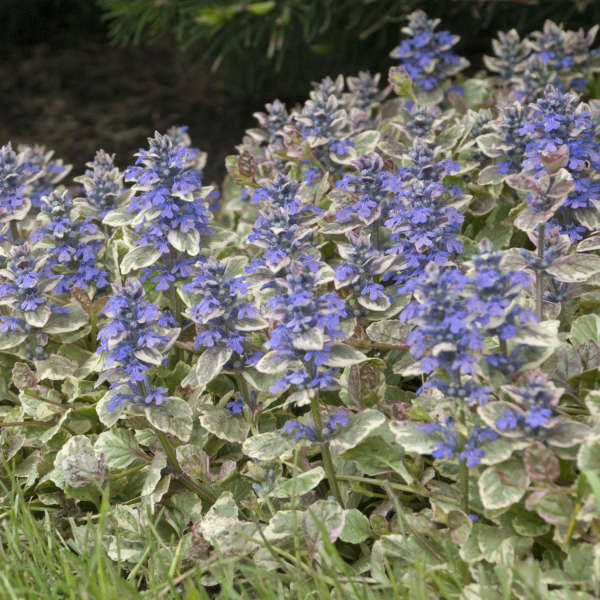 Ajuga grows best in partial to full shade but will also grow in full sun if constant moisture is provided. 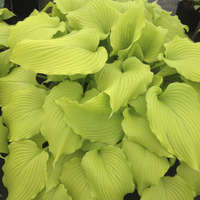 It will tolerate any soil, even poor ones, as long as it is well-drained. Good air circulation is essential to avoid crown rot. Propagate by division any time during the growing season.